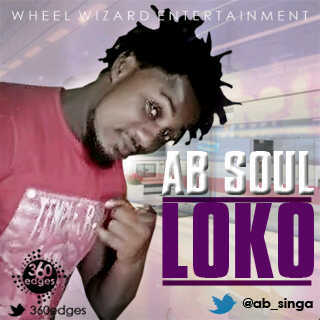 Goodluck chidiebere alozie popularly knwn as Ab Soul has been in the music game for over 10 years now, he kicked off his music career as a leader of the deformed 5 souls , a music group that was well known in Eastern part of the country for their performance in most of the eastern higher institutions, after his Education he released a single ( BIA NSO). Which was rated as the number 1 song in most radio stations, this song gained him a huge sign up worth 3 Million naira into 2bad records , the Label singed hin and Ruff coin ( Nwa Aba) but Ab Soul. Later decided to travel to Malaysia with hopes of making money and returning to do his thing but along the line something really touching happened, Ab Soul was set up by a friend and was arrested, he spent over a year in a Malaysian prison, there he wrote a full Album which Includes LOKO and Farabale his hit singles on street now, could this be another African Akon? From Prison to Stardom?